One of the best rum that I have tested it! Its a good rum, Its too expensive, but you can enjoy it in the rocks! One of the best rum that I have tested it! Its an excellent product, you can drink it in the rocks and enjoy it! 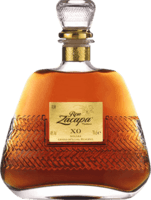 Excellent Ron I normally drink Zacapa, but I love Atlantico, it’s less sweet vs Zacapa! It’s a good option to drink, if you want to buy a nice Ron! This is an excellent product! This is a excellent rum! Its not the typical Captain Morgan Rum. The company made an effort with this excellent rum! Excellent rum to drink in the rocks It’s an excellent rum, nice flavor and body! It’s excellent to drink in the rocks! Its an excellet option for the Cubas libres Its a good rum for the Cubas Libres and you can drink it in the rocks! Its a good rum but too expensive Its a good rum, but for the price, you can buy a better rum. Its a good option for the Cubas libres its a good product, if you want to drink in the rocks or in a Cuba Libre. Good rum for the Cubas Libres Its a good product for the Cubas Libres, it has an excellet price and you can find it everywere! Good rum its a good rum to drink in the Cubas Libres. The flavour is good! Its a good option for the Cubas Libres Its a good option for the Cubas Libres, and normally in the liquor stores in Mexico you can find a promotion when you want to buy it! Its a classic rum of the 80`s & 90`s In the 80`s & 90`s was too popular in Mexico, its a good rum for the Cubas Libres but too sweet! Good flavor for the people who love the Cubas Libres Its a good option for the people who wants a good rum and dont want to pay too much! Its a good option for the Cubas Libres. It’s a nice rum It’s a good rum for the Cuba’s libres! It’s too difficult to find it in Mexico! Its a good rum! Its a good rum, but its too difficult to find it in Mexico. Its a good option for the Cubas libres Its a good option to drink in a night club, its a good rum for the Cubas libres. Its a good option for the cubas libre Its a good rum for the cubas libres, but I could be a better rum. Its a good option for the Cubas libres Its a good rum for the Cubas Libres, the people love it in the parties. Its a good option for the Cubas libres Its a good product, the people drink it with Apple Soda. Its too sweet! Its a good rum for the Cubas Libres This rum its a good option for the Cubas libres, it has a good quality! Its a good option for the Cubas libres and the Mojitos Its a good rum for the Cubas Libres and the Mojitos. Also so cheap! Its a good rum spiced Its a good option for the people who loves the spiced rum and drink it with Cola. Its a good rum for the price, but its too sweet! Its a good rum, but I prefer other rums. Its too sweet! Its a good option for the Cubas libres Its a good option for the Cubas Libres and Mojitos! This is not a classic rum, its the typical drink from Costa Rica Its a nice rum, its not comun to find it in Mexico, because Its a typical drink from Costa Rica. Its a rum only for the Cubas Libres Its a poor rum, but you can drink with the Cubas Libres, I prefer other rums. Its a classic rum of the 80`s & 90`s In the 80´s & 90´s was a rum that you could find it everywhere. Now, the people prefer other rums. Its a good rum for the Cubas Libres. Its a rum for the Coffe Its a rum that you should drink with a coffe. I dont like it! Its a good option for the Cubas libres Its a basic rum, cheap and you can find it everywhere. Its a good option for the Cubas Libres. Its a rum only for the Cubas Libres Its was too comun to find it in Mexico, but its not a good rum. Its a good option for the Cubas libres and the Mojitos It has a good flavor for the price that I has! Its a good option for the Cubas Libres and the Mojitos. Its quite good Its a good product for the Mojitos and Cubas libres, but you can find better rums. Its a good option for the Pinas Coladas Its a good product for the Pinas Coladas, its too sweet to drink it in other way! Its a good option for the Cubas libres Its a different flavor as the Kraken Spiced flavor! Its a good option for the Cubas Libres. Its a good rum for the Mojitos its a good product that you can use it for the Mojitos or other shots! It could be better Its a poor product of Bacardi, it could be better! I prefer drink other rums. Its not the best product of Bacardi It recommend drink other rums! Its not the best product of Barcadi.